Snow’s is one of the legendary BBQ places in Central Texas, and pitmaster Tootsie Tomanetz has been putting out BBQ since 2003. 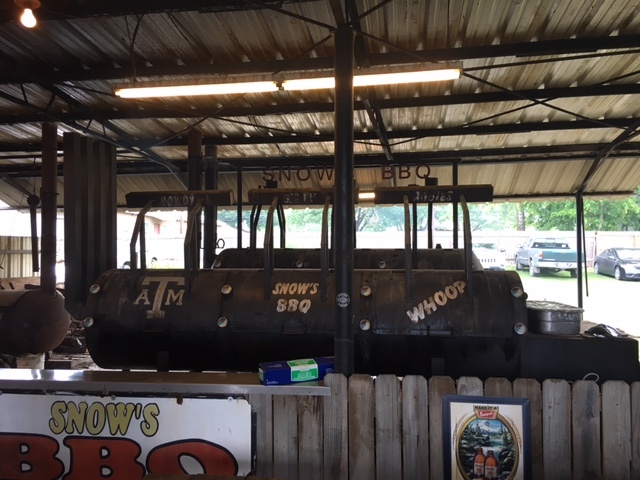 Unusually for a BBQ place, Snow’s is only open on Saturdays, and is definitely a trip from Austin. 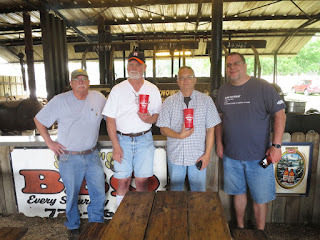 Mike, James, other James, Ric and I headed on out with the goals of enjoying a good drive and having some good BBQ. The lines at Snow’s used to be long enough that if you weren’t there by 8am you were walking away empty-handed. With the rise of other BBQ places closer to Austin, the lines have died a little. We get there about 10:30 and spend about 45 minutes in line waiting to order. It’s definitely worth the wait. Most of us get some to go as well as something to eat there. They offer chicken, sausage (regular and jalapeno), brisket, pork ribs, turkey, and pork shoulder. Note: I’m the only one scoring this trip. 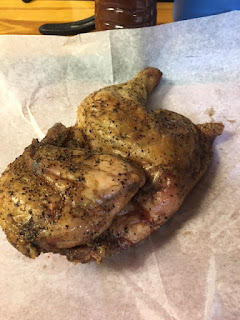 Chicken: The chicken is extremely tender and juicy, and has a wonderful smoky flavor. There’s a lot of pepper, and something that I suspect is mustard seed in the rub as well. It’s one of the best I’ve had. 9.5/10. Brisket: The moist brisket has a lot of smoke and is very tender. There’s a nice amount of pepper as well. 8.5/10. 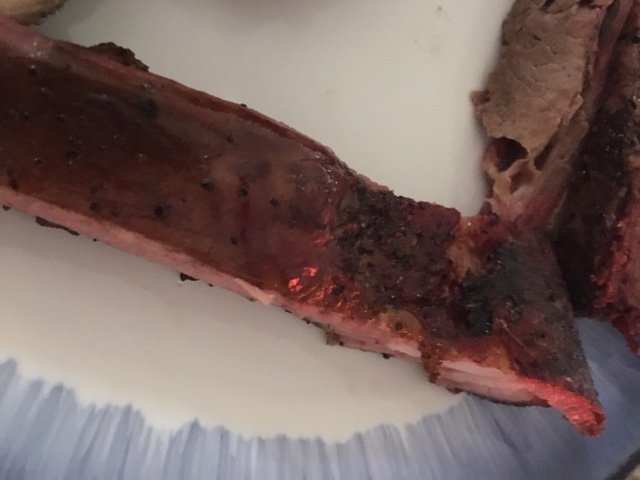 Pork Ribs: There’s a good amount of meat on the bones, and a lot of pepper (I’m noticing a theme). They are fairly tender without being overdone. The smoke goes through to the bone. 8.5/10. Turkey: The turkey is tender and juicy, and has a nice light smoke flavor with lots of pepper. 9.0/10. 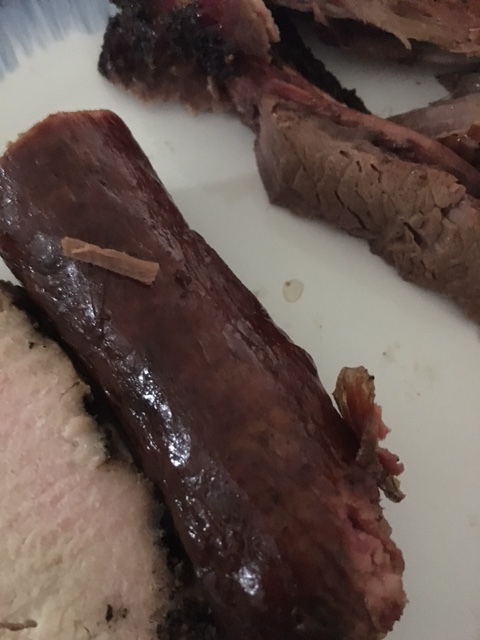 Original Sausage: The sausage has a nice snap and a good flavor. It is a tad bit on the greasy side. 8.0/10. If you are wondering if Snow’s deserves the praise it gets, wonder no further. 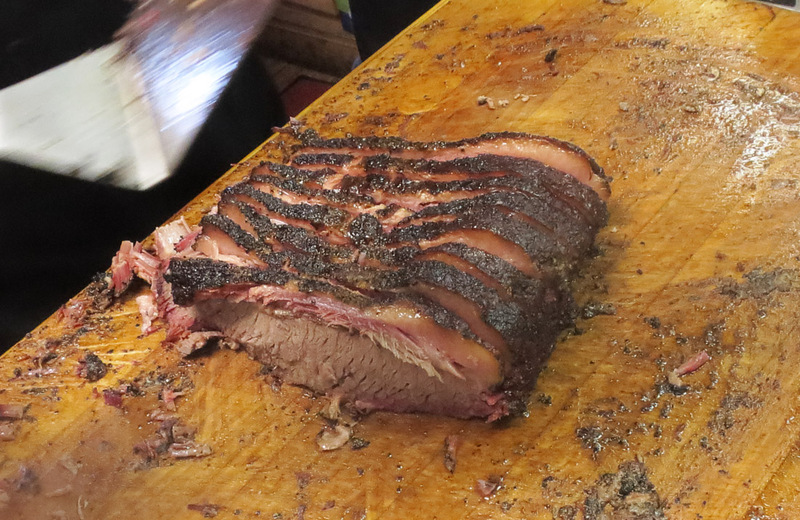 They are turning out some excellent BBQ that is definitely worth traveling for. Is it worth a trip? Absolutely. 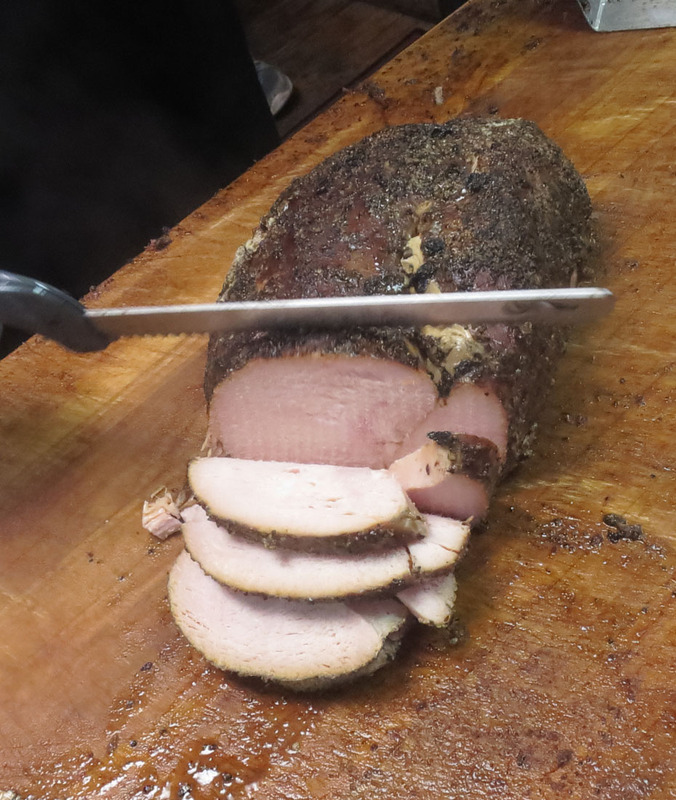 It’s a very nice drive out there, and you’ll have some excellent BBQ waiting at the end.